A Hat for Clara B. 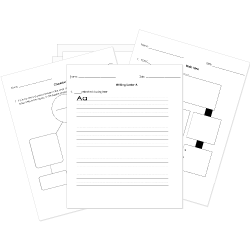 You can create printable tests and worksheets from these Charlie and the Chocolate Factory questions! Select one or more questions using the checkboxes above each question. Then click the add selected questions to a test button before moving to another page. Why are Charlie's grandparents' stories important? They make the room happy. They cause the grandparents to feel young. They help Charlie to get into the chocolate factory. How many days did Charlie have to prepare for the visit to the factory? According to the ticket, what would happen after the tour? Charlie would stay at the factory. Charlie would receive a large check. A procession of trucks would follow Charlie home. A worker would come to Charlie's house to take him to the factory. All 4 grandparents agree with Mr. Buckett's remarks that if Charlie does not find a golden ticket in his candy bar he should not be disappointed. Mr. Wonka is a very tall man with not much energy. Why does Charlie eat his chocolate slowly? He only gets to eat it once a year. He doesn't like the taste of chocolate. He doesn't want to gain too much weight. He tracks how long it takes to melt on his tongue. What does Charlie's family eat the most? How did Charlie differ from the children? He got bad grades in school. His family didn't have a lot of money. He wasn't excited about visiting the factory. Charlie says there isn't a hope of finding a golden ticket. Why does Charlie think there isn't a hope? The chocolate bars are sold out. He can't afford to buy lots of chocolate bars. What does Charlie do after supper? What did Grandpa Joe tell Charlie about Mr. Willy Wonka's factory? It cost over one million dollars to build. Thousands of people visit it each year. It is made of the finest chocolate in all the land. Nobody ever goes in and nobody ever comes out. Where are the golden tickets hidden? Which character in the story was the most spoiled? What does Charlie love most about the chocolate factory? What did Prince Pondicherry ask Mr. Willy Wonka to do? Where were most of the rooms in the factory located? Who wanted to go the factory with Charlie? Which choice best describes the house where Charlie lives? Who are Grandpa Joe and Grandma Josephine? How do the people know the factory is still running? They hear the machines working. They see Mr. Willy Wonka every day. The workers all went back to their jobs. The delivery drivers keep delivering chocolate.